* waves cane in the air in agreement. Pier, you don’t need to be an old curmudgeon to be horrified by bad code and excessive file sizes. I regularly hear shrieks of horror emanating from the studio as our young wizards gape in stunned wonder at some appalling coding travesty. These crimes are usually committed by site designers who rapidly abandon the client when they ask why their visual wonder does not perform in search. Sadly for the poor client, we can give little comfort as a ground up rebuild is usually the only workable solution. The poor client leaves without engaging us thinking that everybody in the business is out to fleece them. Bad code is a bad code by which to live. I was told that 16KB was the onboard capacity of the first moon trip. I commented that today you wouldn’t get more than a full stop for that in Word. Then I got nervous about being asked to prove it so I opened a new Word file, typed a full stop, saved it, and, lo and behold, 16KB. 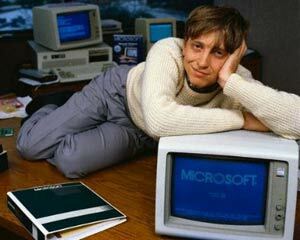 I know its sort of cheating as the 16KB are overheads but it is a nice magic trick to have a go at Bill Gates.